South Pacific? Naw, just south(ish) Texas. 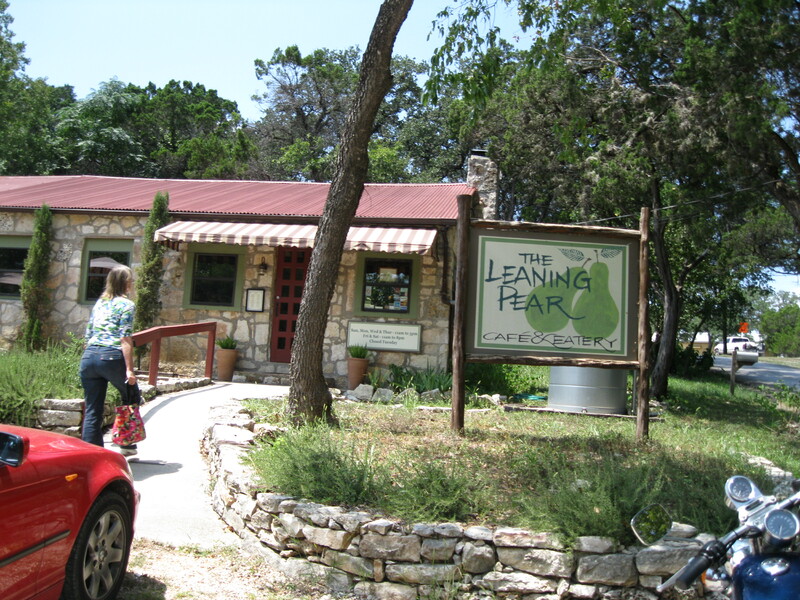 We now return to the Hill Country: I don’t remember now where I found out about this place, but who could resist? Not my group of foodie friends, that’s for sure! So off we went to the Airport Diner. When they say “airport” they mean it—we had a view of the runway right outside our window. Yes, city folks, I said “runway” in the singular sense. 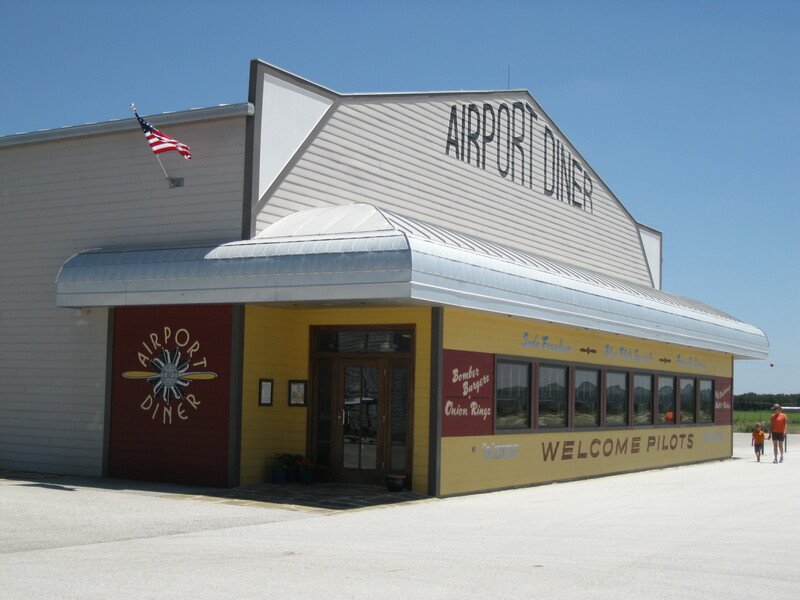 It’s a small airport. We watched people land and take off in their small planes (and one helicopter) before/after their diner lunch. The inside is a loving reproduction of a railway diner and it’s all gleaming and gorgeous. The food was . . . fine. Chicken fried steak was quite good but the sides were forgettable. Cherry cobbler had an excellent pastry-to-fruit ratio, but the fruit was obviously pie filling from a can. But what the heck. The food is only part of the experience, I guess. Besides, I rather like cherry pie filling from a can. 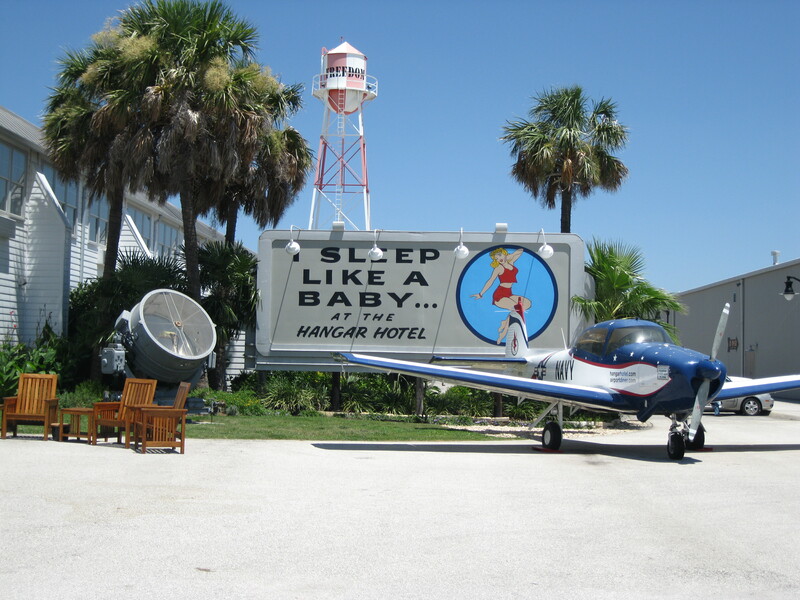 Next door to the diner is the Hangar Hotel, a plush place that looks like the setting for an Agatha Christie mystery. Looks like it's time we headed home, don't you think? By this time the trunk was full and time was a-wasting, so there was nothing for it but to head home. So that’s what we did. In this episode our intrepid band of adventurers (Rosemary, Vikki & I) drove down to my favorite semi-local spot, the Hill Country of Texas. Aside from some amazing BBQ in Georgetown (thanks for that recommendation, Jamie! ), the trip down was uneventful. Well, except for that part where Lee the GPS guy directed us onto a road that didn’t exist, then got snippy when we didn’t take it and led us across a random bridge going the wrong way in the middle of nowhere at 11 pm. But that hardly counts. 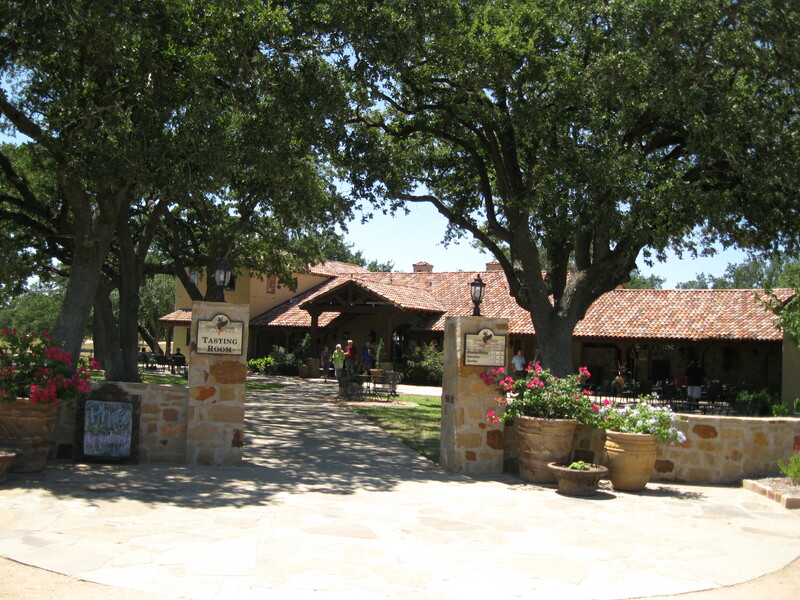 Saturday we began our day at Bella Vista Ranch outside Wimberley, TX, home of First Texas Olive Oil Company. 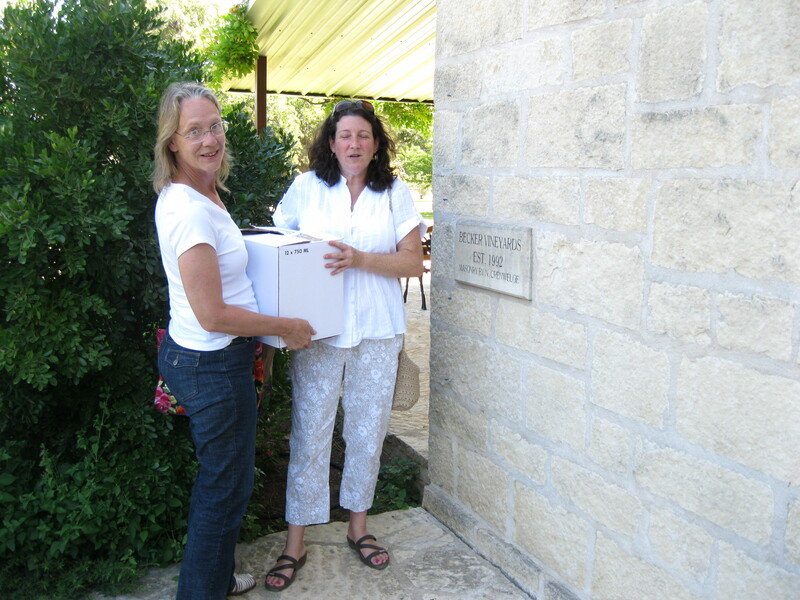 The Hill Country soil and climate are much like the Mediterranean, hence the abundance of wineries in the area. 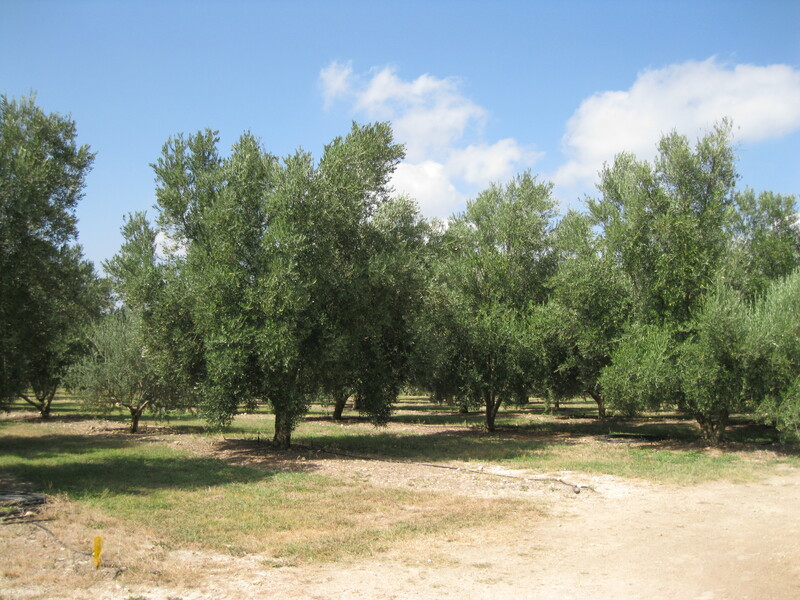 Olives and wine grapes make good neighbors, and at Bella Vista they sell both. 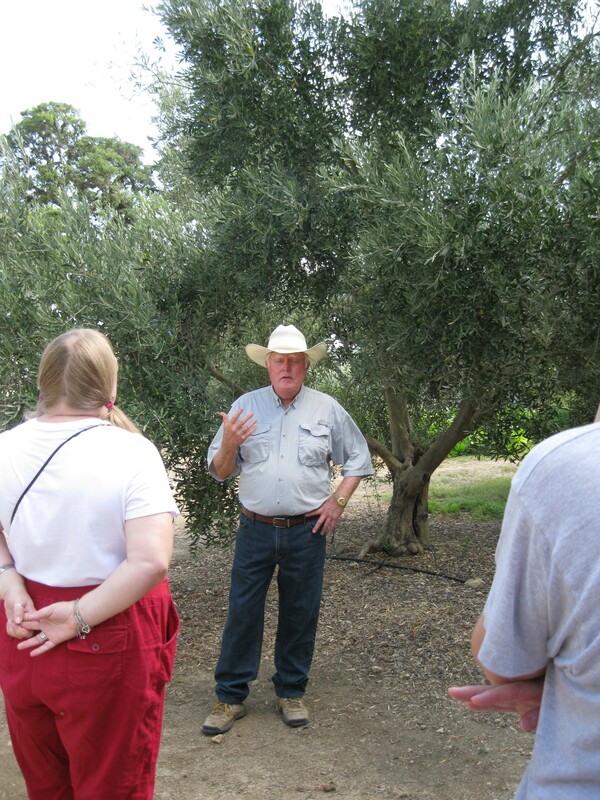 In one of the best deals of the weekend, we got a 2-hour tour that included a brief history of western civilization, the story of olive orchards in Texas, a stroll through the olive trees, an oil tasting, a vinegar tasting, and a wine tasting. All for only $10. They don’t call it Bella Vista for nothing–the view is lovely. I could just imagine a rather special dinner party at a white cloth-covered table set among the olive trees. I don’t particularly care for olives themselves…no actually, that’s not true. I can’t stand olives; I actually spit one out on a Greenwich Village sidewalk after the foodie tour guide persuaded me to try it. I knew better. Olive oil, on the other hand, is quite nice. 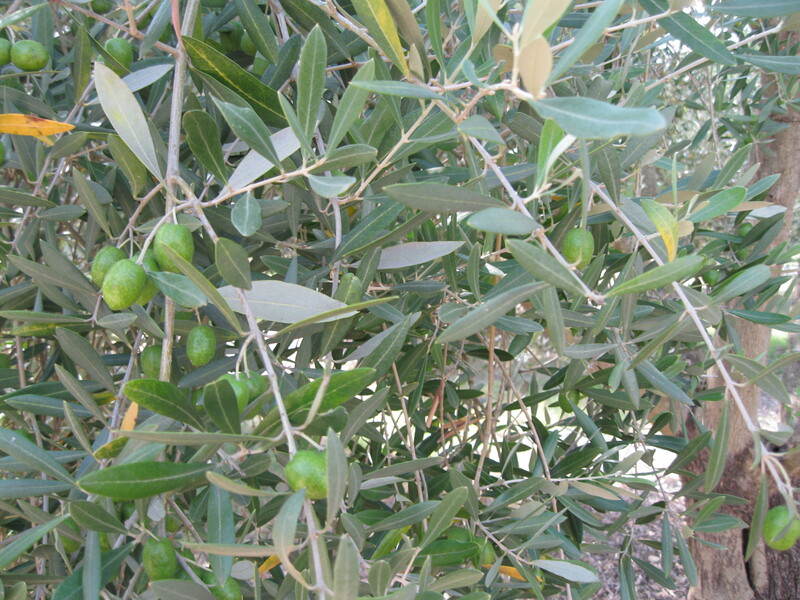 And my personal prejudice didn’t stop me from admiring the olives growing on the trees. Jack said some of them get to golfball size! Fortunately, no actual olives were on the tasting menu so no spitting was required. We tried fresh cold-pressed olive oil, infused with various flavors (the blood orange smelled wonderful; I ended up with the garlic flavor). And the vinegar? Fig and vanilla . . . oh yeah. I’ll post a recipe when I figure out what to do with it. 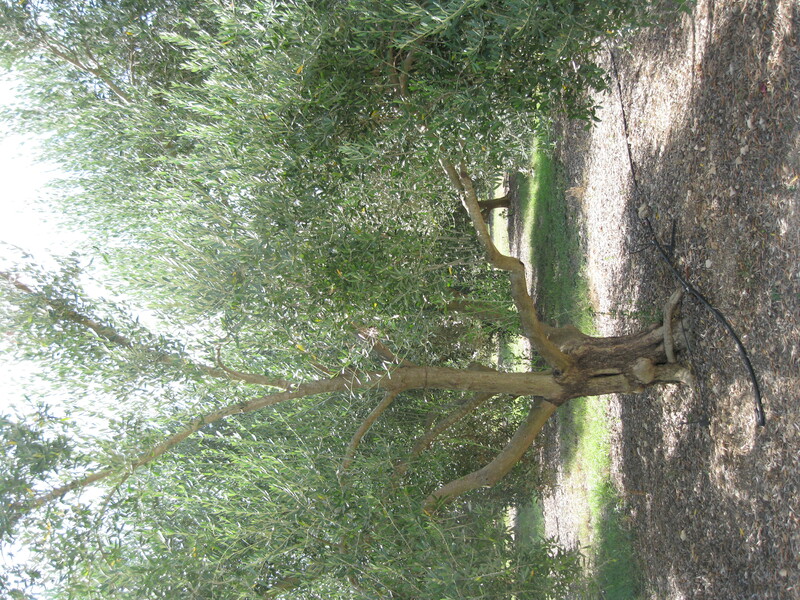 I was a little saddened to learn that the soil in my yard is not olive-friendly. They’re pretty trees and I had brief fantasies of installing one in my landscape–for decorative purposes only, of course. 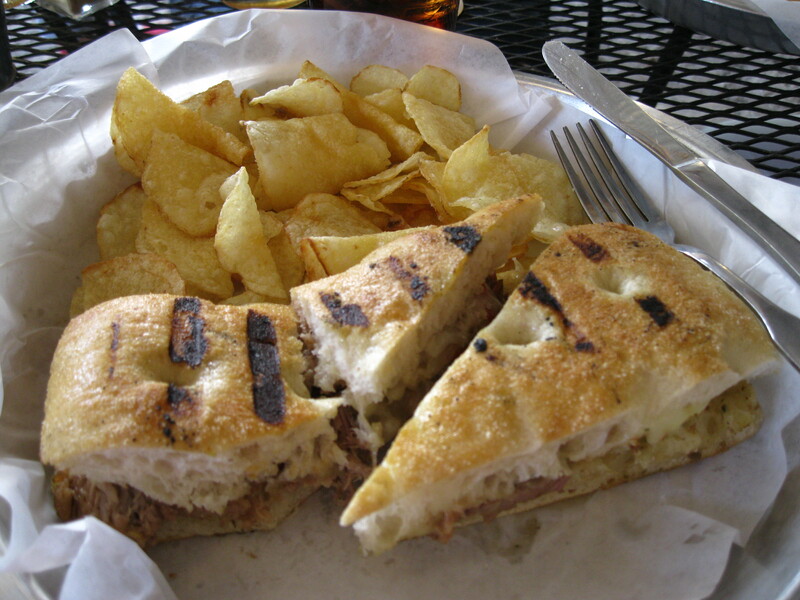 Their specialty is locally-sourced food that’s fresh and delicious. We had . . . 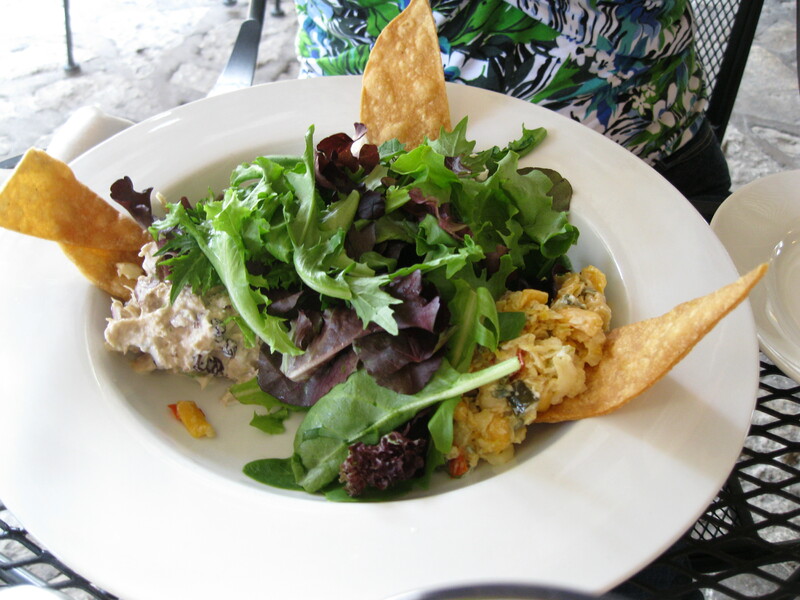 Salad Trio: Roasted Poblano Pimento Cheese, Texas Pecan & Black Currant Tuna Salad, Herbed Chicken Salad. All delicious. And that was just the morning…. I own a timeshare in the Texas Hill Country and at least once a year they invite me down for a “meeting.” This is an opportunity (for me) to enjoy an extra weekend in one of my favorite parts of Texas and (for them) to try to sell me more stuff, which I’m not buying. This last weekend was one of those, and I mention it only to say that when I got to the meeting they were at a loss to explain why I was there. There was no reason to meet with them at this time, they muttered. Wonder why I was invited down? I know exactly why; it was a God thing. My friend, Vikki, wanted to come down with me so we could drive into San Antonio to visit her husband, Lance, who now resides in the military cemetery there. This trip had nothing to do with my latest “opportunity” and everything to do with Vikki. So we came down, had an unusually entertaining meeting with the puzzled timeshare guys, and proceeded to enjoy our weekend. As we are both foodies (you’ll see Vikki’s hands in the duck) we naturally organized much of our trip around culinary opportunities. On the way down, we stopped at the Koffee Kup in Hico for their famous pie. After paying respects to Lance, we chowed down on a fabulous burger at Centerpoint Station in San Marcos. 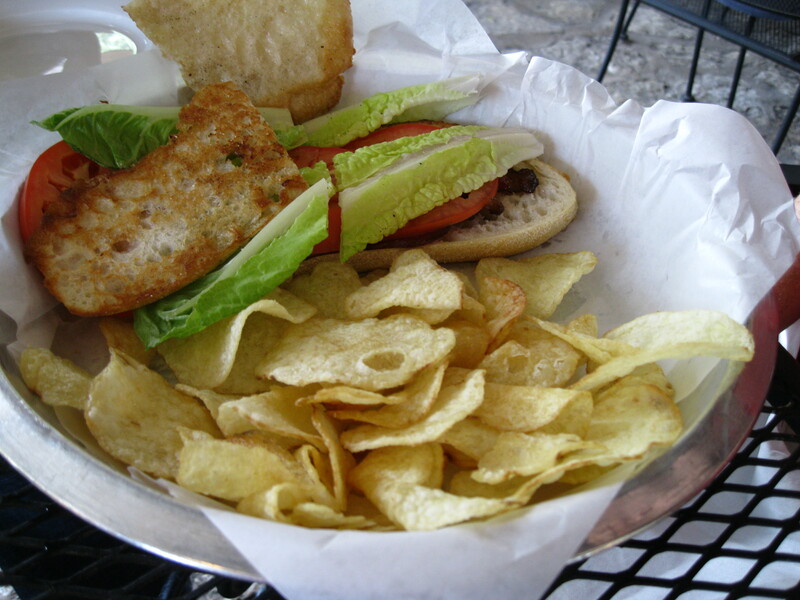 And Saturday night, thanks to a recommendation from Rob at the timeshare, we had dinner at Gruene River Grill. Gruene (pronounced “green”), is a small town on the banks of the Guadaloupe (that’s “gwah-duh-loop” for you non-natives) River and one of the places I always go when I’m in this part of the world. It boasts Texas’ oldest continuously operating dance hall, a multitude of antique stores and quirky shops, and some darn fine food. I’ve eaten several good meals at the Gristmill (behind the dance hall under the water tower), but Rob insisted Gruene River Grill (a few doors down) was the place to go. He was so right. Everything about it was wonderful, starting with the décor. It’s what I call Hill Country chic, a mix of recycled barn wood and modern pottery, exposed brick and sophisticated sofas, old tin ceiling panels and silk curtains. The sort of place where you can comfortably park your cowboy boots under the table and idly discuss the technological impact of the Roman Empire on the development of modern civilization while enjoying a fine Cabernet and an elegant meal before wandering outside to go boot-scootin’. It was dark when we arrived, but I’m sure the large glass doors along the back wall open onto a charming patio where, in warmer weather, one can relax and gaze down on the river below. In the interest of moderation, Vikki and I shared our meal, which turned out to be perfectly proportioned for the purpose. We started with Shrimp Won Tons, jumbo shrimp with mixed cheeses, bacon, and serrano peppers bundled in a wonton wrapper and fried, served with cherry mustard sauce. Crunchy, chewy, and delicious with just the right amount of heat—I want these at my next Superbowl party. Heck, I want these at my next meal. For our entrée we followed Rob’s advice and chose Chicken Marsala. A perfectly cooked butterflied chicken breast, moist and delicious, nestled in just the right amount of lovely sauce with creamy garlic mashed potatoes and green beans (also perfectly cooked with red pepper flakes for a little extra interest). Then, because our pie from the day before had long since worn off, we had dessert. Tara, our server, pitched the Dove chocolate crème brulee, but we opted for the brownie a la mode. This turned out to be a Texas-sized square of fudgy chocolate goodness topped with vanilla ice cream. Yum. In summary: wonderful décor, excellent service, delicious food, reasonable prices. 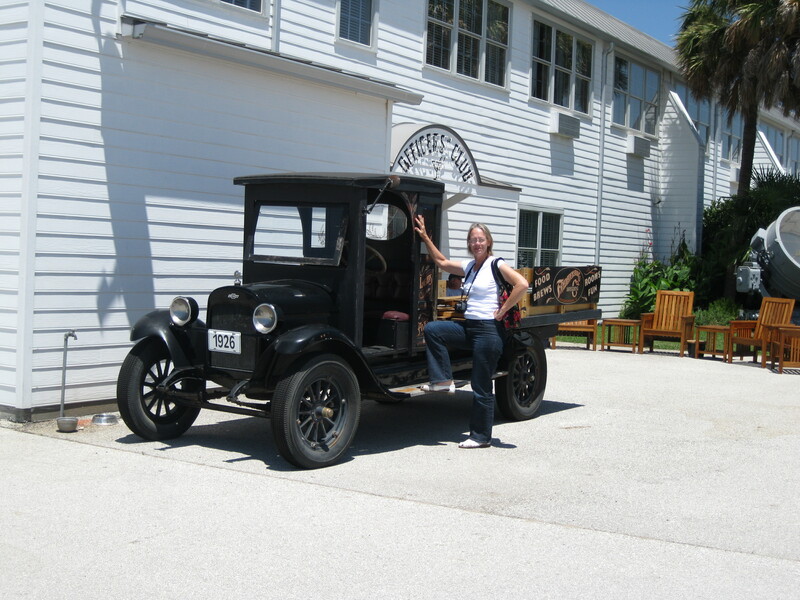 Should you happen to find yourself between Austin and San Antonio and need a place to park your boots for a spell, take a brief detour off the beaten path to visit the “city” of Gruene and the Gruene River Grille. It’s not far off 1-35 and well worth the trip. You might have to go old school and use a map to find it, though. Our GPS just looked confused when we entered “Gruene”. We followed our noses and found it anyway. And now that I’ve found it, I will definitely be back.